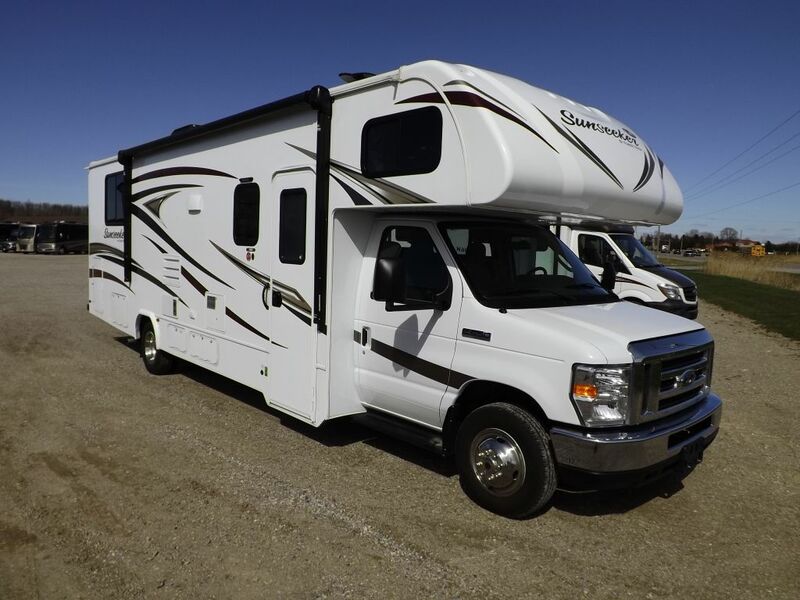 2019 Winnebago Vista 29VE - Full Wall Driver Side Slideout, Tailgate Package Including Outdoor Kitchen and Entertainment Center. Power Awning, 4.0KW Onan Generator, Automatic Levelling Jacks, 1000 Watt Inverter, Power Loft Bed, Video Camera System, Bedroom TV, Scarlet Exterior, Pinnacle/Glazed Honey Cherry Interior, This is our best selling Class A Coach. Come see it for yourself !